For migraine patients who don’t respond well to holistic and traditional treatments, surgery may restore their quality of life. The goal of migraine surgery is to provide headache and migraine reduction as measured by common parameters (frequency, duration and severity). As it has been previously reported, up to 80 percent of patients exhibit between more than 50 percent and 100 percent relief after undergoing evaluation and surgical treatment. The migraine headache is a complex phenomenon that has several theories of origin and propagation. In the early 2000s, plastic surgeon Bahman Guyuron theorized that there were trigger points in the head and neck areas. He conducted research after seeing coincidental migraine improvement in patients undergoing routine cosmetic-type procedures. His extensive research has proven that some migraine pain is caused by muscle fibers irritating trigeminal sensory nerve branches. There are multiple trigger points, each with its own unique symptom profile and treatment style. The most common are frontal headaches caused by compression of nerves in the forehead area. Temporal headaches and occipital headaches are related to nerve irritation in their respective areas. 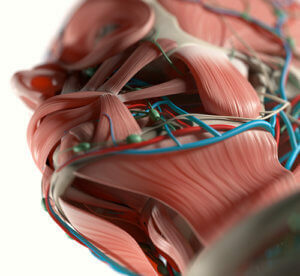 The offending site can be a mixture of muscle fibers, fascia, vessels and/or bone. Lastly, patients with rhinogenic or nasal headaches complain of pressure behind their eyes and are treated with traditional nasal surgery or functional rhinoplasty. After evaluation and potential diagnostic use of Botox or nerve block anesthetics, Dr. Marco Ellis helps patients select the areas of necessary decompression. Some imaging may be required to improve accuracy, which can include CT scans or MRIs. Depending on the site, migraine surgery is performed on an outpatient basis under sedation or general anesthesia. Each site deactivation takes approximately 30 to 45 minutes. Incisions are camouflaged in the scalp or upper eyelid. Dr. Ellis regularly interfaces with insurance providers and will advocate for your treatment coverage.